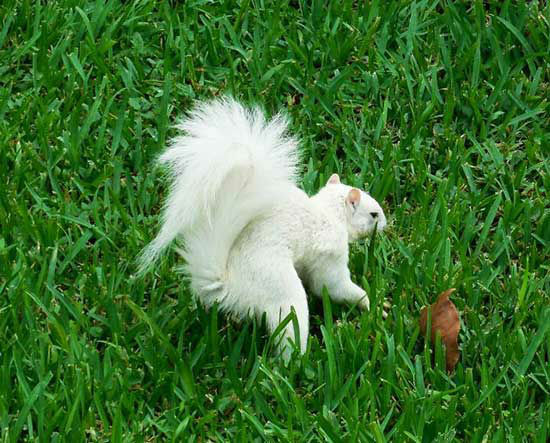 Jack Cross of Texas City sent us these photos of rare white squirrels that he's trained! TEXAS CITY, TX (KTRK) -- Here's a sight you don't see every day - rare white squirrels and they're apparently trained! 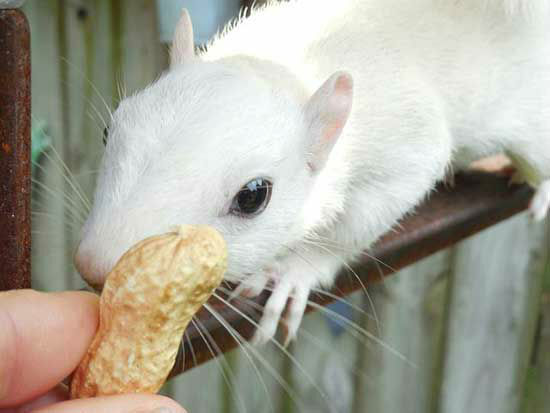 Rare white squirrel visits Texas City man daily. Jack Cross of Texas City says the squirrels visit him daily. 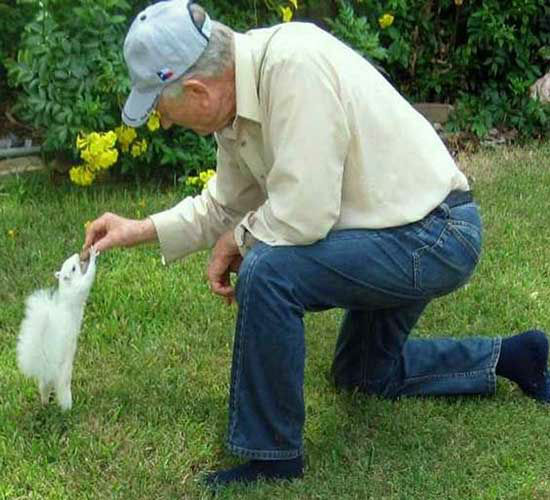 He has them trained to sit while he feeds them nuts. Jack says there are a number of them in the east end of the city. 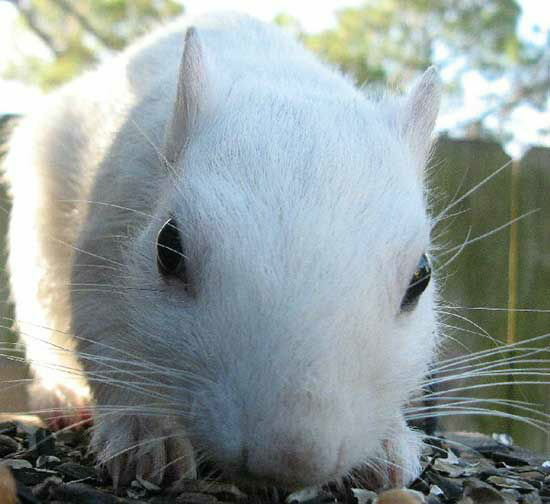 They're not albino, he says, rather just a rare white variation of the common fox squirrel.